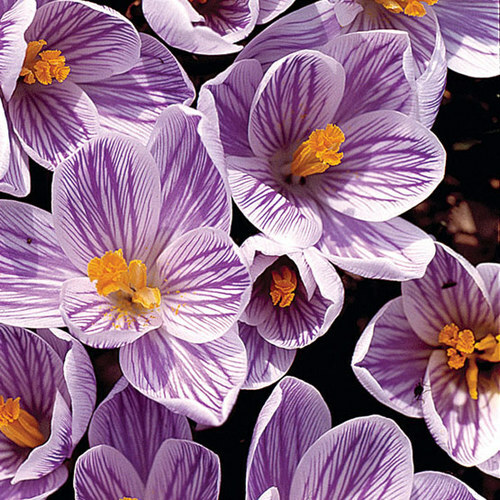 The Crocus genus is comprised of about 80 species of dwarf, cormous, clump-forming perennials found in a wide range of habitats. The small, goblet-shaped flowers open in early spring or autumn to reveal tepals of often contrasting colors. 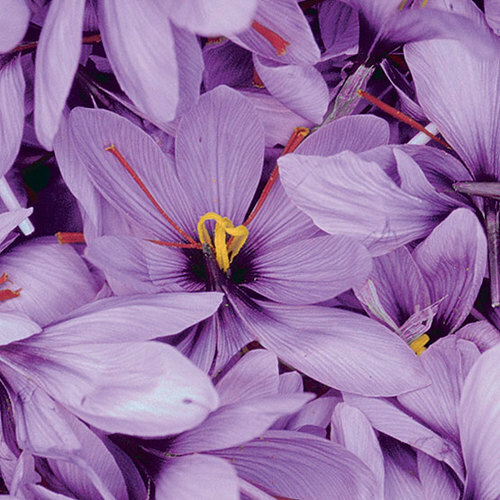 Flowers appear before the leaves, or sometimes, with them. 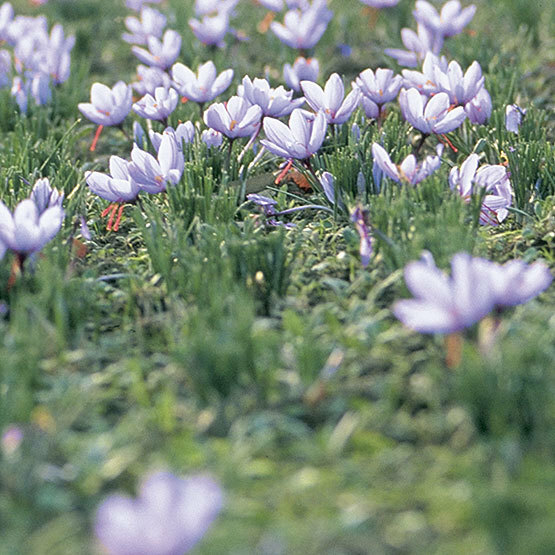 Crocuses are beautiful en masse naturalized in a lawn, in a rock garden, or in a mixed or herbaceous border. They are some of the earliest blooms of spring. Noteworthy CharacteristicsColorful, low-growing flowers in spring, often in the snow, or in the autumn. CareCrocus species have differing requirements. See individual accounts for details. 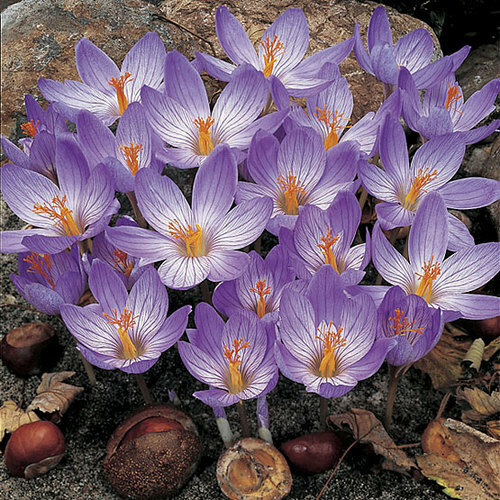 Generally, though, plant corms 3 to 4 inches deep in spring (autumn-flowering plants) or in fall (spring bloomers). PropagationCollect seed when ripe, just before the seed capsule ruptures. Sow seed immediately in containers or in a cold frame. Leave seedlings in containers for 2 years before planting out. Many self-sow abundantly. Can also remove cormlets during dormancy. ProblemsMice, voles, and squirrels may eat the corms, while birds may pick off flowers. In storage, corms are prone to rots and molds.